Garage clear out all parts are off an e36 apart from the alternator ,fuel pump, window wiper motor their from an e30. If there's something you want and can swap for a bonnet emblem to fit a e36,cool I need one. Everything goes in the jumbo bin at the end of the week. 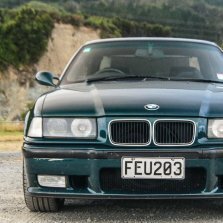 Interested in the e36 headlight. Where in Auckland are you? @richard - I'll take the bonnet struts if they still hold up a bonnet - can swap for for a slightly faded but otherwise good 82mm roundel if you want it. I may know somebody interested in the headlight aim adjusters, just checking in with them. Thanks but think its a lip spoiler life for me. Damn good price though! Sweet, badge is yours and I'll take the hood struts. Will follow up with a PM later on, cheers. @richard great - i'll take the headlight. I'll take the under body engine cover. not sure what you mean. The air duct. picture 10 ??? I got night shift tonight. pick up from home, Saturday is ok just txt first please. all parts have been binned.